The Dalton runs from Livengood to Prudhoe Bay. Referred to as the last great wilderness road left on earth—and literally the road to the top of the world—Alaska's Dalton Highway stretches 414 miles from Livengood on the Elliott Highway north to Deadhorse at Prudhoe Bay on the Arctic Ocean. In Deadhorse, travelers will find several hotels, store and gas station. 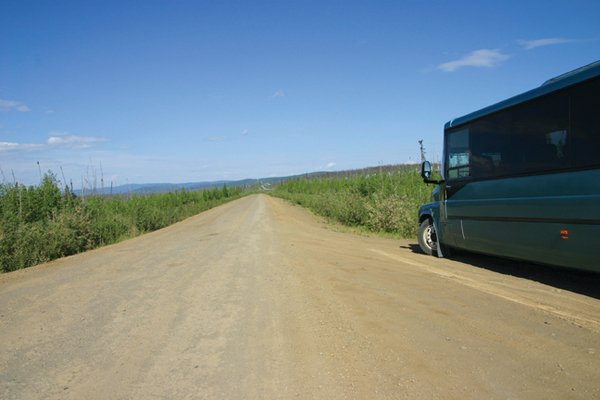 Requiring thirty-two million cubic yards of gravel in its initial construction, and completed over a mere five month period in 1974, the northern 360 mile portion of this highway was built to haul construction supplies for the Trans-Alaska Pipeline and to supply the oilfields of Prudhoe Bay. 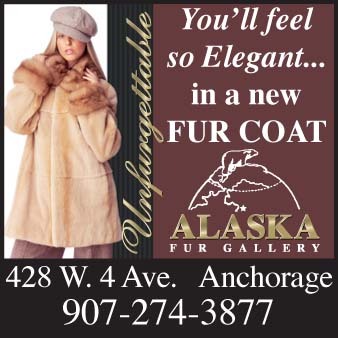 It quickly became known to Alaskans as the Haul Road, a name still used today. The pipeline parallels the Dalton Highway for the northern half of its journey to the sea. Winding through the Yukon-Tanana uplands this gravel road crosses the only bridge on the mighty 1,875-mile Yukon River, the Arctic Circle at 66 degrees 34 minutes north, climbs through 4,739-foot Atigun Pass (the highest road pass in Alaska that is maintained year-round), and the awe-inspiring Brooks Range. It passes over the broad reaches of the Arctic Coastal Plain before ending at the shores of the Arctic Ocean. No public access is allowed through the oil fields to the ocean shore. For the intrepid adventure traveler, the Dalton Highway has become one of the hottest adventure treks available in Alaska. Though travel facilities to buy gas, a meal, or get a motel room are limited to only three locations along the entire road, the highway's expansive vistas, abundant wildlife and spectacular blooming tundra will make it the adventure drive of a lifetime. As you drive through the vastness of this great Alaska wilderness area, be prepared to see moose, caribou, fox, wolf, grizzly bears or even musk oxen from your vehicle. Stepping off the road and climbing a hill will place you in virgin wild land and driving its length will offer you forest and tundra from horizon to horizon, combining to make this a most spectacular journey. Travelers are cautioned to drive this road with their headlights on at all times, to slow down and give the right-of-way to 18-wheelers, beware of flying rocks and to carry two mounted spare tires and normal emergency supplies. Flares, a CB radio, drinking water, food, camping gear and extra vehicle fluids are also highly recommended. The 244 miles north of Coldfoot are the longest unserviced stretch of highway in North America. Tire repair facilities are available at Mile 56 (Yukon Crossing), Mile 175 (Coldfoot) and at road's end in Prudhoe Bay. Not all rental companies allow their vehicles on the Dalton, so check ahead. Highway conditions can be ascertained by calling the Alaska Department of Transportation at (907) 456-7623. A Bureau of Land Management station at the Yukon Crossing at Mile 56 is open from 9 AM to 6 PM daily to provide information on camping, road conditions, recreational opportunities and wildlife viewing. There is a short interpretive walk overlooking the river. Camping is available 5 miles further up the road. Coldfoot Interagency Visitor Center is located at Mile 175, open 10 AM to 10 PM from late May until early September. The center offers interpetive programs, exhibits, brochures and a small bookstore. 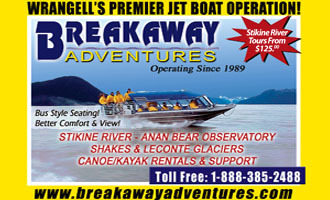 For those travelers who prefer to leave the driving to others, there are numerous tour companies in Alaska offering excursion travel packages to explore various aspects of the region.